The Charles Burrell Museum opened for the 2016 season on Easter Sunday. 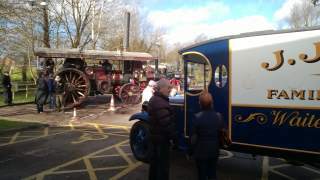 It marked the start of the Charles Burrell museum`s 25th and the return of our Jones`s Van. 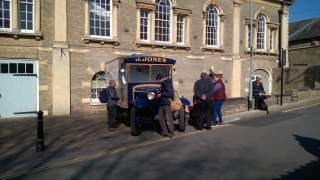 The museum will be open every Saturday and Tuesday and will have the Jones`s Van as part of it`s great display. The museum launched it new exhibition on Friday April 15th. The exhibition will feature pictures, notes and props from the 2016 film. The exhibition will be open every Saturday from 12 until 2pm and entrance will be £2 for adults and free for children. The exhibition will be held in the old `Cosy Carpets` building which is by the side of the Thetford bus interchange. The museum will be opening it`s display of props from the 2016 Movie on Saturday April 16th from 12 until 2pm. 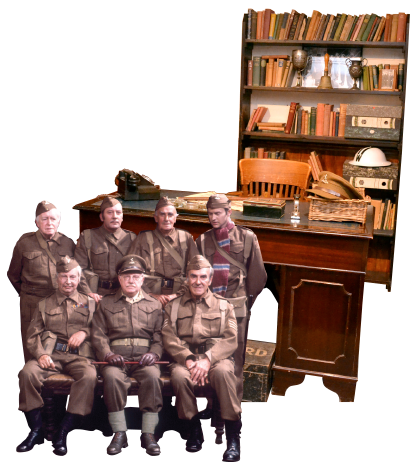 The display will be held at the `Cosy Carpets` building which is next to the Thetford Bus Interchange. The display will be open every Saturday. The display will close on Saturday September 10th. In the mean time here is a quick taster ! The museum opened for the 2016 season on February 27th and we were delighted to welcome over 200 guests. 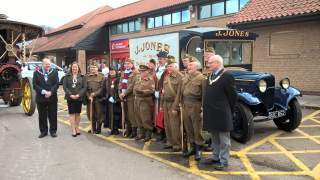 The Walmington on Sea platoon were there and we were delighted to see the return home of the Jones`s Van. The first walking tour of the season took place on Sunday March 13th, over 40 people joined us on a bright sunny but chilly day. The tour party were treated to a viewing of the Jones`s Van at the museum. Tour dates in 2016 are selling out very fast so book now !